One of my favorite tricks for soldering a band to a sheet. 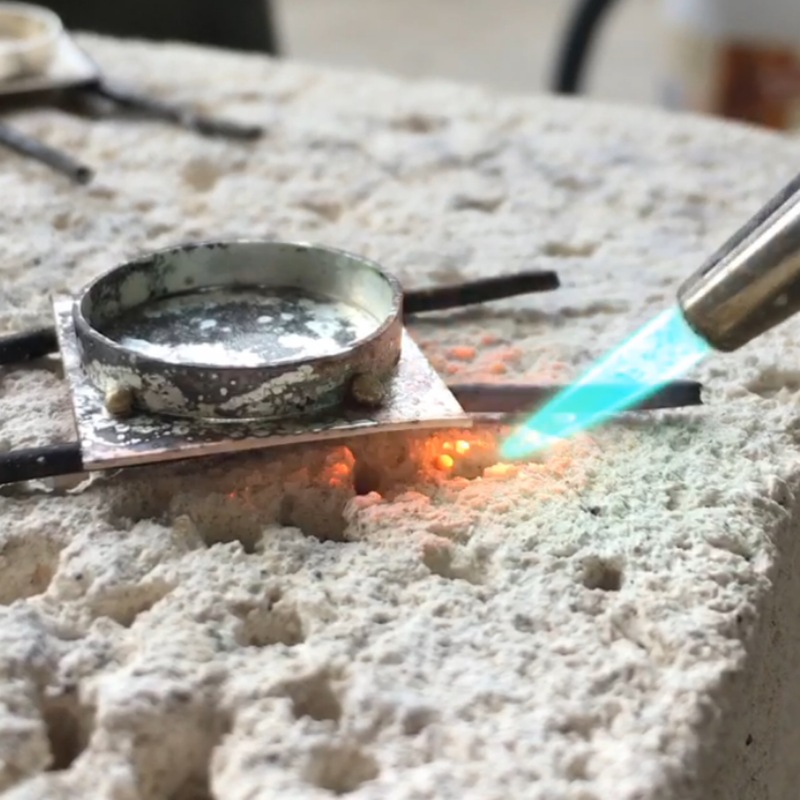 Place sheet on two, or three pieces of steel wire underneath your silver sheet to elevate the sheet and allow the heat from your torch to move under the piece while you are working it. The bottom piece heats up quickly and the solder flows very easily! This entry was posted in How to and tagged goldsmith, goldsmithing, holden, metal, metalsmith, metalsmithing, sarah, silversmithing, solder, soldering, tips, tricks. Bookmark the permalink.